For decades, the Detroit Auto Show has been held in the wintry hellscape that is Michigan in January. Journalists regularly whine about it, attendees whine about it—damn near everyone complains (I myself am a fan, since it adds excitement to an otherwise miserably cold and dark Michigan winter). And lately, the North American International Auto Show (as it’s officially called) has been seeing increased competition from private vehicle launches and also from the Consumer Electronics Show, which is held around the same time in Las Vegas. A number of automakers have been dropping out as the Detroit Auto Show appears to be losing relevance. But this morning, the organizers, the Detroit Auto Dealers Association, announced major changes, including a move to the week of June 8th starting in 2020. 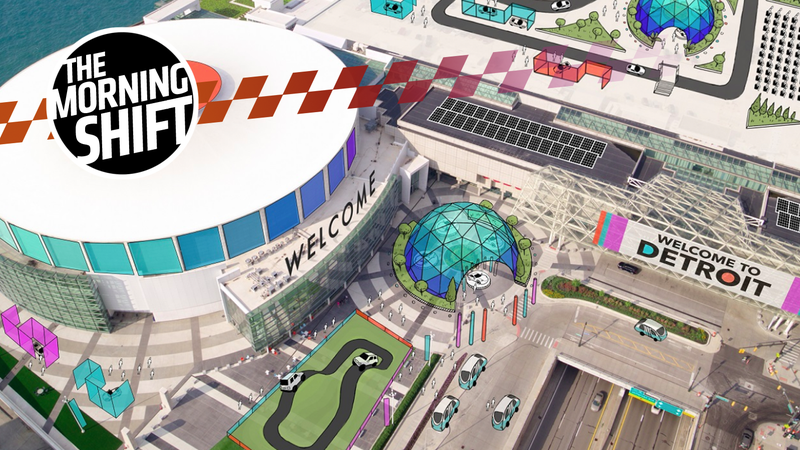 The show’s “most significant transformation in the last three decades” as the executive director calls it, promises automakers the chance to show off products using “dynamic exhibits” and “experiential opportunities” outdoors. There’s plenty of space in Detroit for outdoor exhibits, so this could work well. Supply-chain consultants say sometimes auto makers will demand a reduction in price for a current contract going forward or use leverage of awarding a new deal to get upfront savings on a contract. But they say it is unusual for an auto maker to ask for a refund for past work. I’ve reached out to Tesla to learn more. But it seems to me that, if the company can save some money without overly straining its supplier relationships, why not go for it? This weekend was a huge one for Fiat Chrysler, with Mike Manley taking over as CEO after Sergio Marchionne fell seriously ill from complications after a shoulder surgery. John Elkann, the chairman of the holding company that owns FCA, made it clear just how grave the situation is in his statement on Saturday. The sudden health crisis suffered by former Fiat Chrysler Automobiles CEO Sergio Marchionne may be “irreversible” after he was admitted to the intensive care unit of a Swiss hospital, according to a Sunday report by the Italian newspaper La Stampa. The Italian newspaper La Repubblica reported Sunday that Marchionne has been in a coma since Friday afternoon local time and was breathing with the help of a ventilator. Earlier in the week, doctors tried to wean him off the ventilator by reducing sedative medicine but were not successful, the newspaper said. It’s sad news about an extremely talented and highly respected CEO who brought prosperity to Fiat Chrysler and its employees. Manley has just days to prepare for the automaker’s July 25 quarterly results presentation, an event investors will use to size up the new CEO and assess his plan to fill Marchionne’s shoes. He’s been the boss of Jeep and Ram for years, so he’s probably used to the pressure. But being pushed into the spotlight under these conditions is probably not easy for anyone. Although a frequent talking point of President Donald Trump is the disparity between the EU’s 10 percent tariff on imported autos and the 2.5 percent duty European cars pay to enter the U.S., American negotiators are more interested in blocking imports than boosting exports. What’s more, such an agreement probably wouldn’t do much to bolster shipments of American-designed and -branded vehicles in Europe, where U.S. cars and trucks never have been popular. The trade war continues, and with it, much of Germany’s economic fate lies in the balance. Neutral: A Summer Detroit Auto Show? What do you think about the North American International Auto Show moving to June?